Community Blog by M Randy // The UNOFFICIAL Dtoid Game of the Year 2015 Community Choice Poll! The UNOFFICIAL Dtoid Game of the Year 2015 Community Choice Poll! 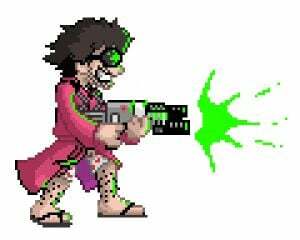 Hi Dtoid! Long time no talk. How are you? I am fine. That is nice. Nice nice nice. Something about my kids. Boners and all that. Yep. Now that that's out of the way, I wanted to share something fun! While perusing the list of nominees and winners of Destructoid's 2015 game of the year awards, I noticed something sadly absent from the fun: THE COMMUNITY CHOICE POLL! I checked with Mike and Chris and it sounded like the staff had their hands full with their official picks (trust me, it can be an arduous process), so I thought I'd lighten their loads a bit, dust off the ol' pink robe, and just post the damn thing myself! So, without further adieu, I present to you the 100% UNOFFICIAL Dtoid Game of the Year 2015 Community Choice Poll! Also, please let me know if I missed your game and I'll add it! (Mafia II doesn't count, Tarvu.) There's a write-in category in the meantime. Full disclosure: I mostly just pulled straight from the staff's lists and added Netflix and Fallout 4 because I'm not a real gamer.